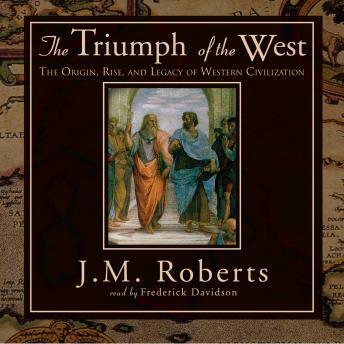 The Triumph of the West is noted historian J. M. Roberts's illuminating and authoritative look at the rise of Western civilization, greatly expanded from a thirteen-part BBC television series. It uncovers what gave European culture its confidence and energy for so many centuries, while exposing its flaws and its irreversible impact on the rest of the world. Over the centuries, two important beliefs arose in Europe: a faith that man could order his own destiny and that progress was normal.